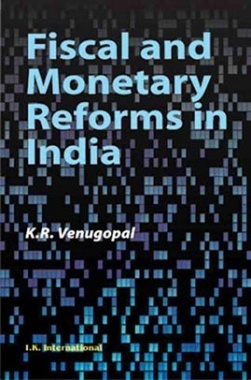 The articles in the book are on topics like Fiscal Structure, Industry Policy, Bank Restructuring, Exchange Rate of Rupee, Gold policy, Inflation Management, Deficit Financing, Liquidity Crisis, Oil Fueled inflation, Oil Exploration, Oil Crisis, Privatisation of Insurance, Foreign Capital Inflows, Foreign Investment, IMF and its Conditionalities, Foreign Exchange Reserves, Public Expenditure, Budget, Disinvestments, Buyoncy of Indian Rupee, Inflation Trap, Subsidies for food and fertilizers, MNCs, Trade deficits, Public Borrowing, External debt, Short and Long Term Capital Flows, Banking Policy, Deregulation of Interest Rates, Convertibility, Liberalization, Industrial Sickness, Export-Import Strategies, NRI Investments, Subsidies, Industry and Agriculture Growth, Debt Crisis, Wage Freeze, etc. They are of special interest to postgraduate and research students, academic planners and policy makers and statesmen. 1.The book contains a bouquet of classic articles in economics and public finance written by the late K Venkatagiri Gowda when India had started to embrace LPG. 2.The 100+ articles analyzes the causes of myriad problems like industrial sickness, trade deficit, external debt, inflation, balance of payments, subsidies, and so on. 3.With its content, the book gives very important cues to budding economists and policy-makers about the setting of the watershed period of the Indian economy. 5. The Silver Import Policy: Is it Viable? 17. Is the Wheat Policy Good for the Country? 18. Should Banks be Brought under Parliamentary Control? 19. Industry Status to Agriculture? 30. Will Liberalisation of Consumer Goods Imports Jeopardise Small Scale Industries? 32. Is the Debt Crisis Imminent? 47. The Securities Scam: Is the Reserve Bank of India Responsible?